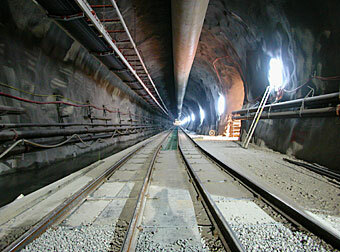 The Gotthard tunnel, the longest railway tunnel in the world, with 57 km (36 miles) will be opened and plays the role of superstar in terms of quality and safety. Construction is already under way. The idea to build a Gotthard base tunnel is far from new. The first idea was proposed as early as 1947. Half a century after the first project of 1962, the longest railway tunnel in the world is now finally and indeed going to be put into service.